✅ Commit Only 1 Turnover – We probably could have committed another turnover and still been ok, but I didn’t want to give the ball to Tyree Jackson more than we had to. It only took them 1:11 to score on their first drive. Our defense stepped up in a big way after the interception on our opening drive. Just like during the Hawai’i Game, Bateman and the Bad Boys bailed out the Army Team by preventing our opponent from getting out to an early 14-0 lead. Hopkins also bounced back completing his next 4 throws for 91 yards and 1 touchdown. ✅ Never trail by more than 10 – Our defense showed up in a big way after Buffalo’s opening drive. They cleaned up their tackling and shut down a Bulls’ Offense that looked too effective against our opening defensive scheme. The Army secondary was targeted multiple times but without success. Excellent DB play and some plays breaking our way allowed the Black Knights to stifle a threatening Buffalo offense. ✅ Outgain the Bulls in Total Yards – The memorizing lava lamp triple-option kept the fans out of the game and trampled the Bulls for 372 yards. Buffalo on the other hand, gained their season low total of 255 yards after entering the contest averaging 429 yards/game. 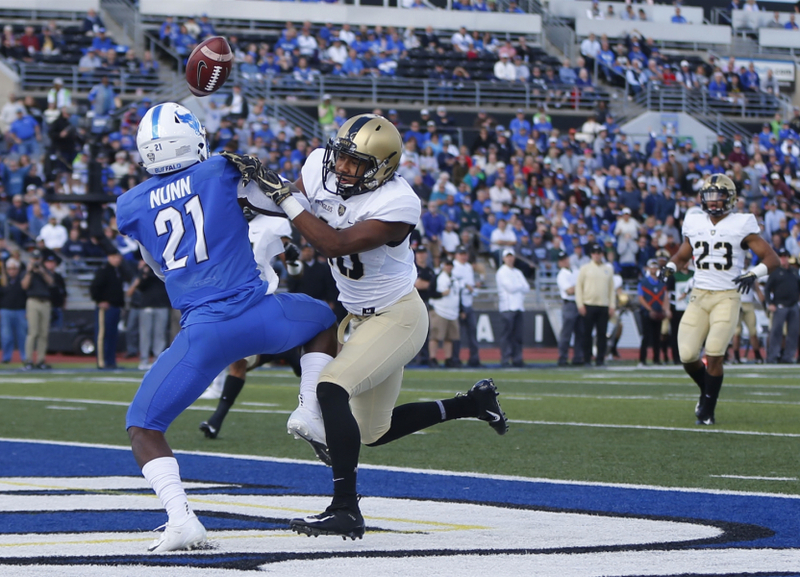 ✅ Keep Buffalo below 225 yards passing/125 yards rushing – Tyree Jackson will be an interesting prospect in the NFL Draft this year, but he couldn’t do anything against the Cadets. 152 yards passing and 103 yards rushing…The Bulls looked like the D-4 Flag Football Team. An impressive win for the Black Knights following the heart-breaking loss to Oklahoma last week. The team’s ability to refocus and completely dominate Buffalo, during what could have been a trap game, will serve us well throughout the remainder of the season. Time to hand out some superlatives! You took that late hit right in the chin for an extra 10 yards, which made finishing the drive just a little bit easier. Enjoy sleeping in and having the entire day off. No need to actually visit the Mologne Cadet Health Clinic at 0600, your instructors have already been emailed. See you at the Stadium for treatment. For your excellent coverage of a dangerous Bulls offense, you’ve earned boosted WiFi coverage in the Barracks. No more fighting the Corps as everyone binge watches Netflix and ooVoo’s their significant others during ESP. Now you can download Tha Carter V with greater than .5 mbps of internet. Enjoy! Seriously though, your effort significantly contributed to the lopsided scoreboard. Army posted 0 sacks and 1 QB hurry on Saturday meaning y’all were shutting down Jackson’s passing options with straight-up, great secondary play. Why 10 you ask? Because that’s the point swing that your blocked field goal resulted in. You slipped through the Buffalo line like one of the Bassette Brother’s going through the tire swing during another record breaking IOCT attempt. The poor Cadet on CGR duty will love helping the UPS Guy unload all the oversized boodle boxes. Enjoy the snacks and share with Elijah. That’s right! You’ve been Voluntold to show rising Yuks how to kick down doors during CFT next summer. That booming 66-yard punt on Saturday showed that your right leg is perfect for the job! I know it’s not as fun as a game-securing fake punt, but you are part of the reason our trust in the Army kicking game is returning. Don’t worry! We know you graduate this year so we’ve already coordinated for a delayed BOLC date and accommodations at Camp Natural Bridge with your name on it (plus all the MREs you can eat). Pretty sweet, right? You also burned your defender on Jordan Asberry’s 25 yard touchdown reception, but like any good leader, you allowed someone else to take credit and recognition. Asberry definitely deserved it as he has played almost every offensive position on field so far this season and had yet to find the end zone. Your selflessness caught the eye of the Brigade Tactical Department. In view of these qualities and your demonstrated leadership potential you are therefore promoted to Company Executive Officer. You will spend your entire reorganization week dealing with seemingly unmanageable due-outs, manifests, training plans, room-rosters, and company store based shenanigans. Congratulations on the promotion, and remember to delegate. You get to join the kicking ranks of Austin Seibert (Oklahoma 2018), Aaron Boumerhi (Temple 2017), and Bennett Moehring (Navy 2017). You all have something in common…you support the Troops! Each one of you has greatly helped Army notch another win in the last two years. Your 2016 Game Winner in Overtime still leaves a bad taste in my mouth, but your blocked field goal peace offering has been accepted. After the bye week we will play San Jose State whose currently 0-4. They play Colorado State this Saturday as they are still seeking their first win of the season. Don’t sleep on Spartans or you will end up finding yourself in your 5th Overtime like Hawai’i did this week. The next four games will prove essential to team’s overall success this year. We play a pair of MAC and Mountain West teams before finishing with two FCS foes before the squaring off against Navy. If we find ourselves undefeated prior to Navy, we will likely be ranked. in 2017 we were entered the Army-Navy game with an 8-3 record. Unlike last year, we would only have two losses, both to potential Top 25 teams (continue cheering for Duke). The most recent loss would be in September rather than in Week 11 of Season against North Texas. That late season loss ultimately kept us from getting into the polls following the both the Navy and San Diego State Wins. 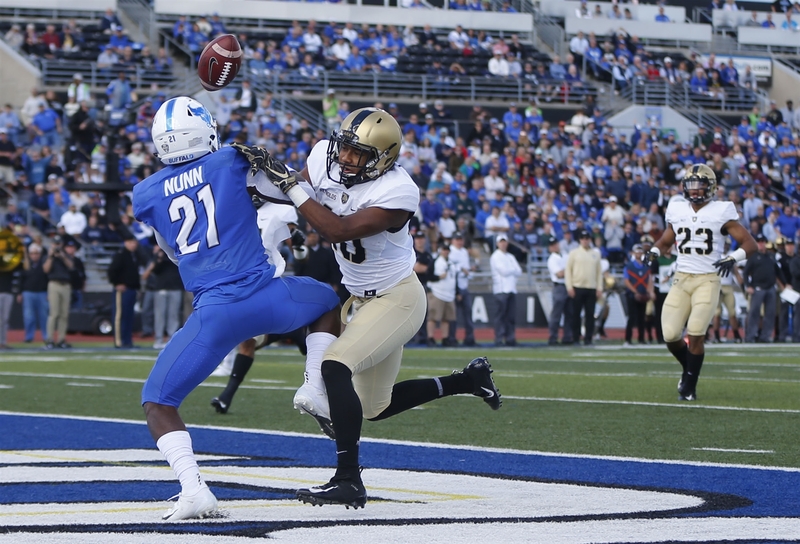 Army displayed impressive maturity in both preparation and mindset going into Saturday’s contest. I know the Army fanbase was still talking about the OU game while Monken’s men were fixing their eyes on the Bulls. They controlled their collective emotions and focused on the next challenge; no easy task in this emotionally-charged sport. Despite a sluggish start, the Army team’s culture of effort and grit shown through, instilling confidence in their ability to finish out the season undefeated. Finishing the regular season 10-2 is a very real possibility given how the Cadets are playing. It all starts with the next two weeks of preparation for a visit to a winless San Jose State. I like our chances. Beat San Jose State. Rest.